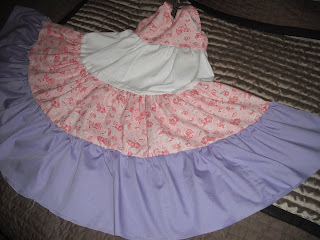 I got up a little early and foolishly tried sewing one teeny little thing onto little girl's 3 tiered dress before work. It was a disaster. Something so simple became much more difficult than it needed to be. I just wanted to tack on the ends of the back elastic. Was it that easy? Nooooooooo. Instead my bobbin decided to become possessed and whirl about wildly, making this harsh sewing sound. It sounded much more like sewing through 4 layers of denim than a wee piece of elastic and two layers of thin cotton cloth. The result was a tangled, wicked mess of thread loops laced with black/gray grease from the machine. I just had minutes to assess the damage before getting ready for work. The answer was simple, the thread came out of the bobbin guide. Easily fixed, but at that point in time it was the worst thing in the world to me. I spent precious time sewing this small line to have that trivial problem appear when I only had moments in the first place. A lesson learned. Never attempt something "quick" in a short period of time. It's fatal. However, last night was a better success. I got the elastic attached, (after ripping out that tangled mass) and even had the time to press the hem and the inside of the bodice. 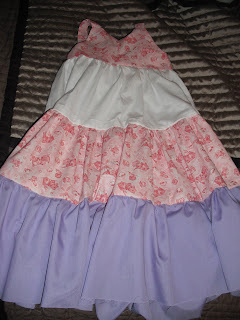 Now, I have a nearly finished dress. 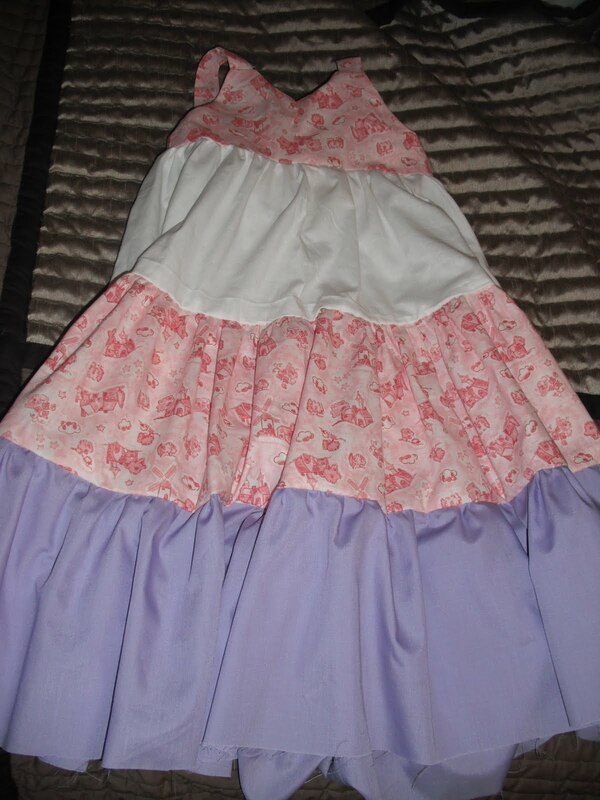 It's a beautiful dress, full of color and screams of cuteness and pink. 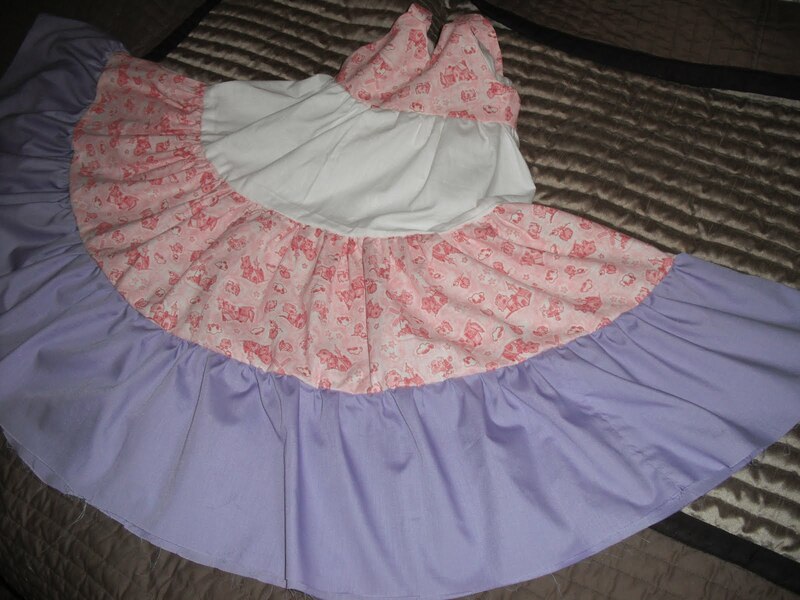 I can't think of a little princess that wouldn't want to twirl around in this skirt. 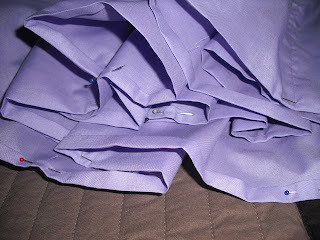 All that is left is closing the lining of the bodice, cleaning up some threads inside, and doing the hem. I just need to find some sucker volunteer for hemming the bottom of this 132 inch dress.